Gavin McGavin‘s first EPW Championship defence saw him face the familiar challenge of EPW Coastal Champion, Scotty Ryan. 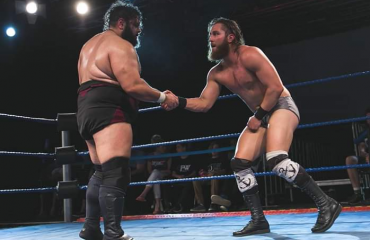 Any trepidation the champion may have had in facing the man who ended his Coastal Championship reign was not visible as both men commenced the match grappling back and forth. A lower leg injury early in the piece seemed to hamper the challenger, but as McGavin zeroed in on the leg, Ryan would not give in easy. 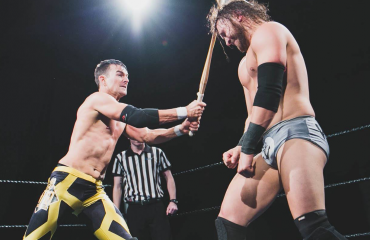 The match ebbed and flowed as Scotty Ryan came close to becoming a dual champion but to McGavin’s credit, he too showed a toughness and would not quit. The leg injury was too much to overcome for the valiant Ryan as “The Real Wrestler” trapped him in an Ankle Lock. 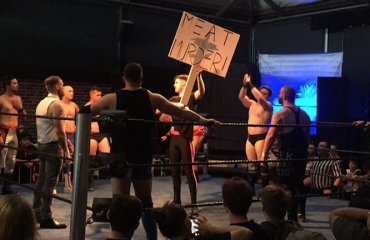 As the EPW fans at EPW Explosive Pro Wrestling Gate One tried to cheer Ryan towards the ropes, McGavin was able to tighten his grip, leaving Scotty Ryan no choice but to submit.